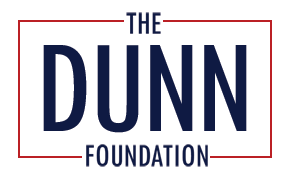 For families who dream of owning a home and educating their children well; for businessmen who want to run their businesses without government intrusion; and for advocates of liberty who speak out against injustice, the Dunn Foundation seeks to create the conditions for liberty to prosper for all. Bill Dunn has dedicated his life to protecting the classical liberal values of market capitalism, free enterprise, individual liberty, property rights and economic freedom, and we believe that these values impact the lives of each and every individual. Our goal is to ensure that the unalienable rights we treasure – life, liberty and the pursuit of happiness – will endure.